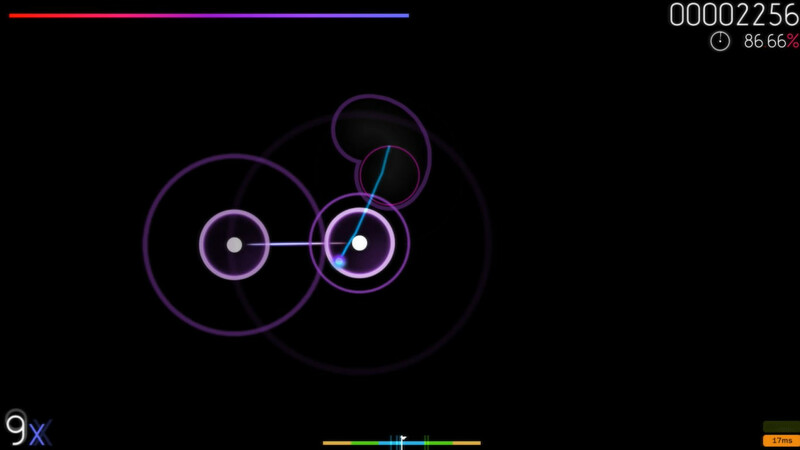 Hit circles problem [Solved] · forums · community | osu! I currently am editing an already made skin. At first, the hitcircles had numbers, but I modified them for dots, as shown in the 1st pic. My problem is when the combo is > or equals to 10. It creates 2 dots, for the respective characters, and it looks really ugly (2nd pic). Please tell me if you know how to fix it, for the dot to stay in the center. Thank you very much for your time. Maybe you should check the FAQ? Q9: I use dots as numbers. But as soon as the 10th combo begins, there will be two dots but I only want one dot for every combo. How can I fix that? A: You have to look for the file size of your default numbers. As example 60x70, so you have to go to your skin.ini and change "HitCircleOverlap" to 60. And yeah, I'll take a look at FAQ next time, thanks for the tip.